The Milani was impossible to find here so a nail boarder found it for me and sent it. Its absolutely gorgeous! Next, is colored after a Tiffany Jewelry box - free Nina color with purchase of the base coat I got. 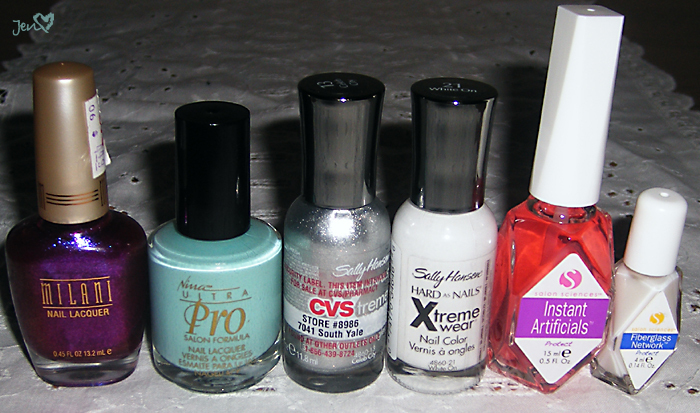 The silver and white are for an experiment and were buy one get one half off, and the base coat was necessary for my current mani of the Grin and Berry It polish. The teeny bottle came free with the base coat.